Tampa criminal defense lawyer Gerald Perez has thirteen years experience in criminal law in Hillsborough County, Florida, both as a former prosecutor and as a private defense attorney. Before choosing a criminal defense attorney, you should carefully examine the Attorney’s Resume. Being accused of a crime is not a pleasant experience. In fact, it can be down right scary and intimidating. By definition, all criminal cases carry at least the possibility of punishment by jail or prison time. Some crimes carry a "minimum mandatory" jail or prison sentence. Most people are unaware of their options and have numerous questions. Most people know that they need excellent legal help and they need it quickly. Depending on your situation, there may be several Solutions for You. On occasion, errors occur in the trial court. These errors can take hundreds of different forms: from incorrect rulings by the judge, to improper argument or procedures by the prosecutor to unlawful sentencing, just to name few. The appellate process is a manner in which these errors are recognized and remedied. A good appellate lawyer will be able to examine the record and spot any problems or issues. The lawyer will then conduct legal research and will write a detailed and sometimes complex legal "brief" and will sometimes appear for "oral argument" before the appellate court. An appeal is generally made to the next higher court. For example, county court decisions are appealed to the Circuit Court; Circuit Court decisions are appealed to the District Court of Appeal; and District Court of Appeal Cases are appealed to the Florida Supreme Court. If an appeal is successful it often will dramatically effect the outcome of the case in that the sentence may be set aside, a new trial may be ordered and sometimes the case may be dismissed altogether. Florida law allows, under certain circumstances, for a police agency to seize property which they believe is connected to, or associated with, criminal activity. The owner or claimant of the property must then assert a claim, and in many cases litigate the matter in court in order to get the property back. Most often U.S. currency, vehicles, boats, jewelry and real estate are seized for forfeiture. A forfeiture case my be a Federal Court or State Court proceeding. In order to safeguard their rights, the owner or claimant should realize that the police are not merely temporarily holding the property - to the contrary, in most instances they are taking steps to permanently obtain ownership of the property. An asset forfeiture case may, or may not be, associated with a criminal charge. If an owner or claimant prevails, they may be entitled to an award of interest or attorney’s fees in certain circumstances. A person in custody with no bond or a high bond will want to apply to the court in writing by filing a detailed "Motion to Set Reasonable Bond." In some instances, a "Motion for Release on Recognizance" (ROR - no money bond required) will be filed. Bond motions are often filed in conjunction with Violation of Probation cases. In certain types of cases, the accused must be able to demonstrate that the money and collateral used for the bond are not the product of unlawful activity or ill-gotten gains. An individual’s rights under the federal and state constitutions play a large roll in criminal defense and criminal court accusations. Law enforcement officers must be careful not to violate a suspect’s constitutional rights. If these rights are, in fact, violated, the usual "penalty" to the government is that the corresponding evidence is "thrown out of court" and suppressed. This will often cripple or completely eliminate the government’s ability to prove the case against the accused. The United States Supreme Court has established this exclusionary rule in an effort to oblige law officers not to violate an accused’s constitutional rights. An accused may also seek money damages in civil court against the police for a violation of rights. "Criminal Traffic" offenses include: DUI, Driving While License Suspended or Revoked, Reckless Driving, Leaving the Scene of an Accident, Highway Racing and others. These offenses carry the potential sentence of jail time and a permanent criminal record. A court appearance by the accused and/or their attorney is required. This term constitutes a large umbrella under which several sub-categories exist. First, there is the "Domestic Violence Injunction." This proceeding, while technically non-criminal in nature, is often associated with a criminal court case or can easily lead to a criminal allegation of "Violation of Domestic Violence Injunction." A person failing to abide by the many requirements of an injunction order may also face penalties in a contempt of court hearing. Next, there is the "Domestic Violence Battery/Assault" which is a criminal charge handled in a specially created misdemeanor courtroom with specially trained prosecutors seeking to move forward even when the alleged victim wants to "waive prosecution". These charges initially carry a “no bond” provision and a bond hearing will sometimes need to be scheduled. A person convicted of domestic violence resulting in injury is subject to a mandatory minimum of five days in jail. A domestic violence battery or other offense may be charged as a felony if there are aggravating circumstances. A person accused of a criminal act of domestic violence should be aware that their arrest record cannot be sealed or expunged unless the charge is dismissed, amended to a different charge or a verdict of not guilt is rendered. Misdemeanor offenses are heard in county court and are punishable by up to 60 days in jail for a second degree misdemeanor or up to one year in the county jail for a first degree misdemeanor. 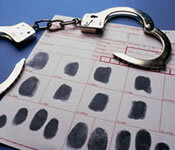 A person accused of a misdemeanor runs the risk of a permanent criminal record. There are many dozens of misdemeanor offenses and some of the most common are listed below. The defense of misdemeanors involves a wide array of possible procedural and substantive defenses. On some occasions, law enforcement will conduct an extensive investigation before making an arrest. This situation often arises in white-collar or theft cases as well as accident with injury cases. In these instances, an individual may learn that they are being targeted as a suspect, and are not sure which way to turn. An attorney is often employed in order to deal with police and prosecutors; safeguard the client’s rights; prevent the client from incriminating themselves; and to hopefully resolve the issues outside of criminal court. If a criminal charge or arrest is imminent, the attorney can negotiate with law enforcement for the client to turn himself in for the booking procedure, rather facing a more public arrest. Most often a person will want to remove their booking photograph and personal information from the sheriff’s office web site (see Hillsborough County Sheriff). Many people incorrectly assume that as soon as their case is over their information will no longer be a public record. To the contrary, many steps must be taken in order to seal or expunge a person’s records - even if a case is dismissed or not prosecuted. First, a person must determine if they are eligible under Florida’s laws. Next, an affidavit, application, petition/motion and notice must be drafted and filed with the appropriate entity. Submissions to Florida Department of Law Enforcement (FDLE), State Attorney’s Office (SAO), Clerk of Court as well as the appropriate Court Judicial Assistant (JA) are required. Even if a person has been certified as eligible, the judge has the power to deny the application. For this reason, a lawyer is usually hired to prepare the necessary court documents, to deal with the prosecuting attorney and to argue the merits of the petition, if necessary. Also see Solutions for You for more information. When a person is placed on probation or house arrest and is subsequently accused of violating the terms of probation by his probation officer, he is entitled to challenge the alleged violation in a court hearing. Once a violation occurs the judge may be more inclined to impose a sentence of incarceration. On felonies, an arrest warrant with "no bond" is usually issued. If a probationer is arrested on such a warrant, it can be weeks before he/she is brought before the original judge for initial hearing. There can be several procedures which can be implemented in order to shorten and ease this process. This term denotes charges which are non-violent in nature and are often are referred to as "Business Crimes" or crimes which are economic in nature. Examples include: Racketeering, Grand Theft, Theft of Intellectual Property, Computer related offenses, Fraud, Forgery, Unlawful use of Credit Cards, Passing Worthless Checks, Organized Fraud. In many instances, pre-arrest, pre-indictment representation is advisable.